Seo Jun (Jang Geun Suk) and Jung Ha Na (Yoon Ah) got a lot more touchy-feely in this episode, which was inevitable once they started living together – how long has it been since I’ve seen one of those cohabitation dramas? I’m a little surprised that things are moving so fast, but I guess in a drama that prides itself on three-second loves, this hasn’t been fast at all. We also got to see more of the second leads, which was a lot more interesting. You should brace yourselves. I guess it’s bad when Jun’s the one being really straightforward in a relationship, as was the case when he confessed to Ha Na and waited for an answer she wouldn’t give. I think Ha Na parried effectively, not saying that she didn’t like him, but that she didn’t know him. Give her a minute, ok, she just got over her sunbae, and she’s still living in close proximity to Han Tae Sung (Kim Young Gwang). Ha Na found many excuses to dodge Jun, such as the sudden arrival of Seo In Ha (Jung Jin Young) to call on her mom. That meeting kind of annoyed me – an episode or two ago Yun Hui (Lee Mi Sook) got all in a flutter when she saw Jun, but when In Ha sees the spitting image of his first love, he only tears up thinking of Yun Hui? Like she’s the real predatory one? Whatever. Ha Na did her best to move her mom’s romance along, even though this means that she’s damaging her own prospects for future happiness. Why is she getting punished for being a good daughter? So Ha Na finally moves out to the White Garden (how fancy of them to name their home), which actually belongs to Jun, so Lee Sun Ho (Kim Si Hoo) is not the property owner I thought he was. We met the other denizens of the cafe, who didn’t make much of an impression on me other than to make me think they were twins – aren’t they the same person? And it looks like they’re trying to give Ha Na her own F4-type of set-up, but it’s just not working out, I think. They made Ha Na feel welcome by feeding her shrimp and beer, and not even the appearance of a sour Jun could really spoil the mood. He did drink for her, though, so he’s already acting like her boyfriend, even if he thinks she dumped him (I won’t get into how there could be a dumping without a going out first – K-drama logic is its own thing). Later that evening he really acted like her boyfriend when he went to put a blanket on her drunken form, only to have her pull him onto her chair as she got all up on him. I think the problem with this scene was that Ha Na just seemed too much woman for him as she wrapped herself around him. Not like Ha Ji Won in Hwang Ji Ni, but still too much for an uncomfortable looking Jun. And Ha Na was like the opposite of Sleeping Beauty – a kiss from him put her to sleep before he had a chance to get in a real kiss. Poor Jun. At least he discovered his own peep-hole in the bookshelf that their rooms share – I’m sure that will be a comfort to him when he feels lonely. 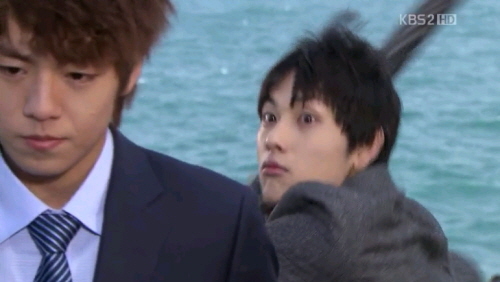 I’m guessing we haven’t seen the last of Peeping Jun. Ha Na is the one holding things up as she saws wood and pretends that she doesn’t remember anything that happened that night. I think she should take time to take stock of everything. She’s had a pretty eventful time since returning to Korea – a guy told her he liked her for the first time, she got her first kiss, and she’s planting her first garden. She obviously needs more than three seconds to deal with everything. I don’t think the contract she signed to live and work there was legally binding anywhere but in a K-drama, but that whole contract and living together gives this drama a very vintage feel to me – like Full House and My Lovely Sam Soon. And I guess she’s trying to move forward in her own way, since she agreed to go on a date with Jun, and even changed her hairstyle, copying the looks from her photo shoot. I thought it was funny that she put up those pictures of herself in her room – it was like the amateur version of how actors and actresses in dramas have those huge pictures of themselves throughout their homes. And off on a date they went, if you define date as just a make out session, preceded by the guy being a downer about his home life. Because then it was the best date ever. I think it’s still a little cruel how they’re setting these two up for major ickiness and disappointment when they find out about their parents. It doesn’t help that Jun will probably support his dad with his new romance since his mother, Hye Jung, is turning out to be the worst mother of the year. It looks like she not only trapped In Ha in the marriage by getting pregnant first (and then telling her son that this ruined her life – classy), but she also had an affair with a married man. Why did they make her so bad? And I don’t know what Ha Na told In Ha, but now he’s not taking no for an answer – giving Yun Hui baby’s breath, inviting her to his bachelor pad (how skanky), and sending her old songs he recorded right after getting discharged (I was relieved to know that Chang Mo was back with them after that short of a time – he wasn’t just living as a fugitive for most of his adult life). To quote Cher, old people can be so sweet (sometimes). 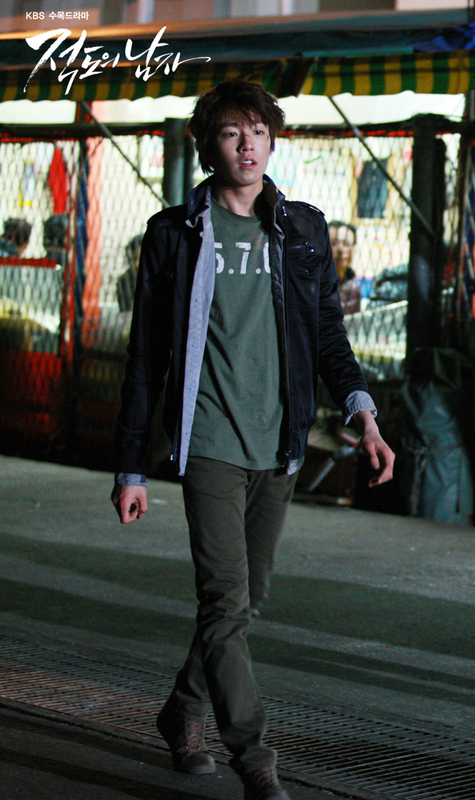 And Kim Si Hoo is totally disappointing me, or at least his frumpy, rumpled character is. 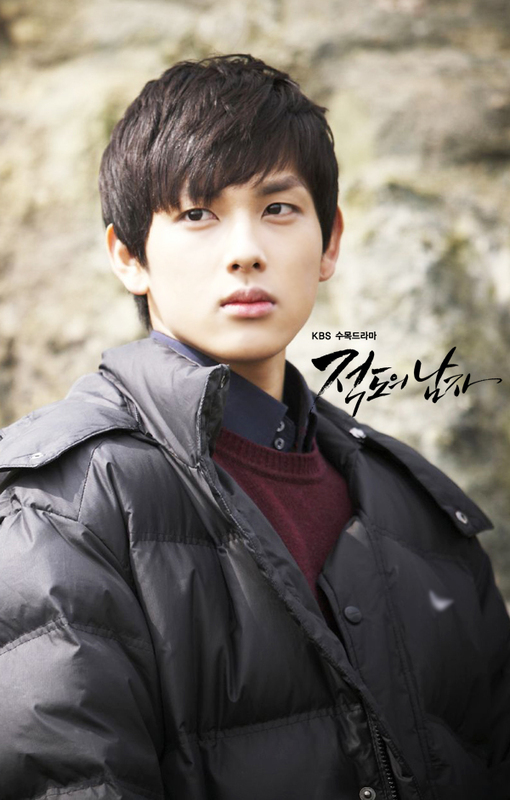 I don’t think Lee Sun Ho will be any kind of viable love interest, even if he does develop real feelings for Ha Na. They’ve made him like one of those Yeo Rim (from the amazing Sungkyunkwan Scandal) types – the kind of person who won’t get directly involved, and just likes to observe and mess with people. Sun Ho spent the entire episode toddling around like an old man, saying things like, “This is getting interesting.” The more he said things were getting interesting, the less interesting he got. But that’s fine, since Dark Horse Tae Sung totally emerged as the more interesting second lead (it helps that he’s not a part of that whole incestuous 70s past). We saw him go into what looked like a broom closet, and in a swirl, transformed into a chaebol resort director. Out with the anorak and plants, and on with the suit and real desk – it was like Superman. I wonder how much Ha Na knows – if this follows the traditional formula, she’ll be in for a big shock soon about her sunbae. Now his family approved fiancée makes total sense, as does his odd sense of maturity. Jun had better watch his back. And even Lee Mi Ho (Park Se Young) is giving Ha Na a run for her money. She can make Jun smile with her crazed dance moves, and she’s lively enough without being oppressive like Hye Jung. And she’s not so blinded by love that she doesn’t mind calling Jun a freak to his face (it’s one of his nicknames!). If her oppa were half as interesting as she was, then I wouldn’t be rooting for Tae Sung. Both of the Seo men moved forward with their respective romances, and it’s hard to say who was in the better position by the end of the episode. Seo In Ha (Jung Jin Young) was Yun Hui’s first love, and first loves are, like, really important. 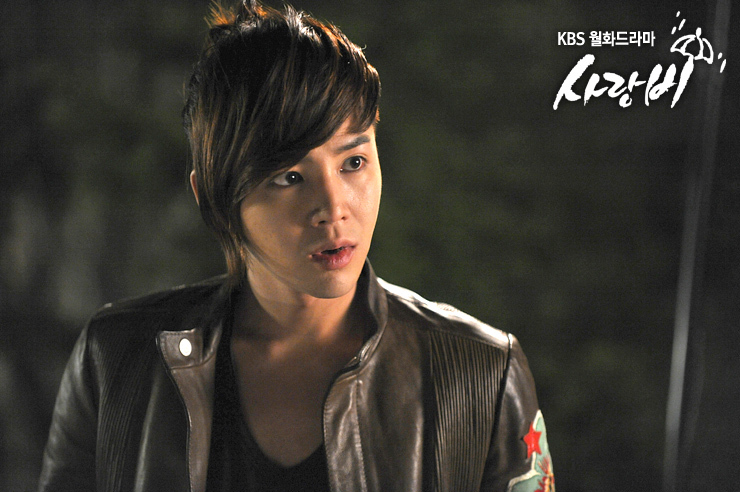 But, Seo Jun (Jang Geun Suk) finally moved out of his mom’s house, so I’m going to give him this one. Jun made some pretty big leaps in this hour, starting with his decision to “start things over” with a very confused Lee Ha Na (Yoon Ah). She was totally justified in wondering what “things” he was talking about, but she just kind of went with it, and so off they trotted, sharing a lavender umbrella (yellow umbrellas are so 70s) as they looked for apartments for Ha Na. He was freaked out by the kinds of places she was looking at (how can he not be familiar with rooftop rooms? ), and he decided to do the gallant and sleazy thing by telling her that he’ll take care of her part-time job and apartment searches. He also tried to explain his bizarre thought processes, by telling her that she had “gotten to him” since they met, and until he could figure out why or what this meant, he wanted her to stay by his side. What sweet words, right? I don’t know what Ha Na made out of his behavior, but he thought he was cool enough for the both of them, so it didn’t really matter what she thought. He’s already at that stage where he sees her when she’s not there, and tries to act really cool when she’s around. Jang Geun Suk is much more likable when he’s making fun of himself, but the only problem is that I’m never absolutely sure whether he’s in on the joke. Ha Na seems to be trying to make a go of it in Seoul without her mom or Han Tae Sung (Kim Young Gwang), and she even had her first paying job as Jun’s model. I personally thought that Jun should have gone with the pictures of her doing her funky dances, but he’s too conventional for that. Of course Ha Na dazzles Jun way more when she’s just in her own clothes (she has her own Ha Na Style), but now everyone says that she’s so pretty (do you know how rare that is in a Korean drama?). She says that she has no other plans to model, but I’m guessing that won’t hold for long. She finally began to start something with Lee Sun Ho (Kim Si Hoo), whom she ran into during apartment hunting when he was chasing after a doddering old man (it was to check his blood pressure – though it did seem a little sinister to me). 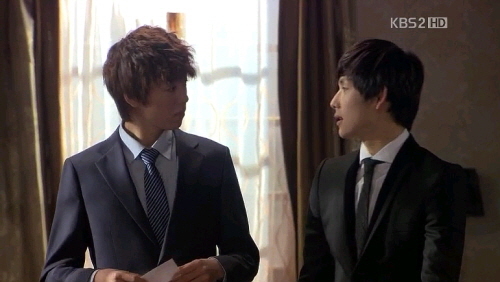 They had a Hongdae, drinking-buddy moment, but it looks like Sun Ho already knows that Jun has a thing for her. But that didn’t stop him from moving the plot along very quickly by proposing that Ha Na come live at his cafe (I see he’s a young property owner), and work part-time as the gardener. I guess both Sun Ho and his dad are pretty forward in their own way. Since Jun has moved into his studio, too, it looks like there will be some Full House antics soon. Two people who don’t look like they’ll be playing house anytime soon are In Ha and Hye Jung. That dastardly Hye Jung lost no time in asking In Ha to get back together with her now that she knows the Widow Yun Hui is back in Korea. It’s really no use, since a newly aggressive In Ha is wasting no time in pursuing Yun Hui, even stooping so low as to tell her how hard it was for him thinking that she was dead. And was he always such a sleaze? I swear he was going to try and hide the fact that he had married Hye Jung. She has her own reasons for turning him down – she’s sick again. From the previews it looks like she’s going blind (what is it with Korean dramas and blindness? ), so she probably doesn’t want to burden him with that. 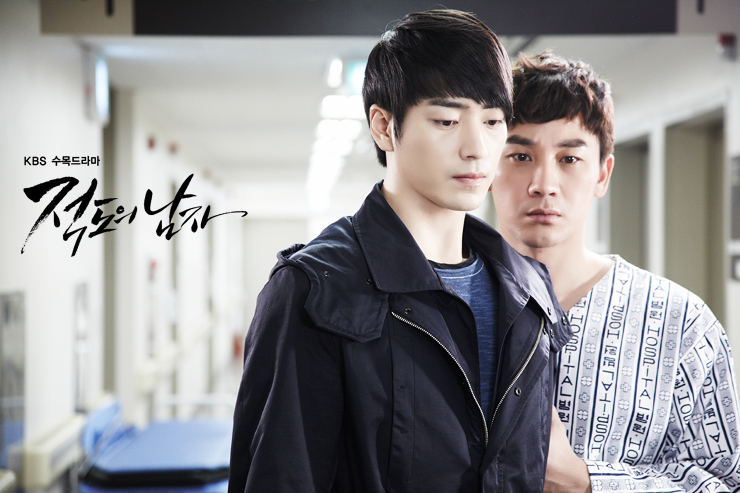 Though I wonder if the actor is giving Lee Mi Sook tips on how to pretend to be blind, having just done that in Brain. Why are they putting her through so much? I think it’s just ridiculous at this point – the director obviously has issues with this woman. I’m guessing that Yun Hui will eventually cave so that Jun and Ha Na will be made as uncomfortable as possible when their parents introduce them all. And I’m thinking that Hye Jung will be another impediment to the Jun-Ha Na couple (as if becoming step-siblings weren’t enough), since she has already picked out a girl for her son: Lee Mi Ho (Park Se Young, Man from the Equator), Lee Sun Ho’s sister, just back from the states and nursing a huge crush on Jun. Watch out, Jun, her dad’s a fake shaman! I’d root for her more if her name had been Gu Mi Ho instead. Hye Jung obviously hasn’t learned her lesson from her own failed marriage since she thinks Jun’s feelings don’t matter at all. Of course he should like this mother-approved girl from a good family. Then again, this is the same woman who doesn’t consider divorce the end to her marriage, so she’s probably thicker-skinned than most, and mighty deluded. It looks like her son also inherited those traits, but on him it’s supposed to be cute, I guess. There’s finally a man from the equator instead of just a boy as the drama leaps ahead to introduce the grownup counterparts to our characters. But I mustn’t get ahead of myself by skipping all the way to the end, otherwise I might miss out on all of the bad things Lee Jang Il (Im Si Wan) did in this episode. 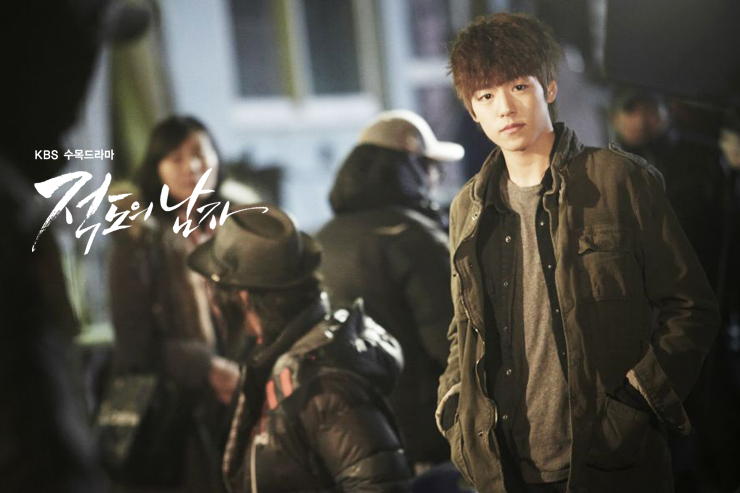 The drama focused more on him since Kim Seonu (Lee Hyun Woo) was busy, you know, being in a coma and stuff. 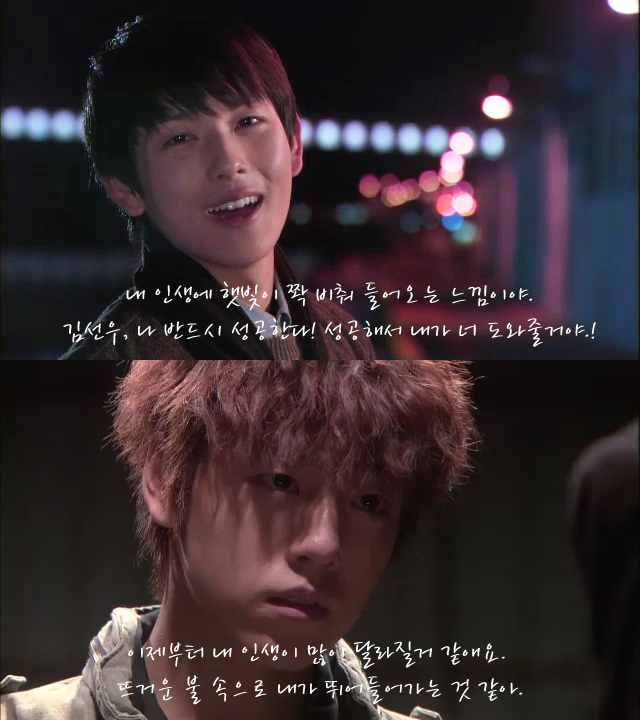 I had been willing to go easy on Jang Il – ok, you’ve suffered emotional torment and maybe you’re really not that bad. But no, in this episode he proved that he is thisclose to losing it completely. 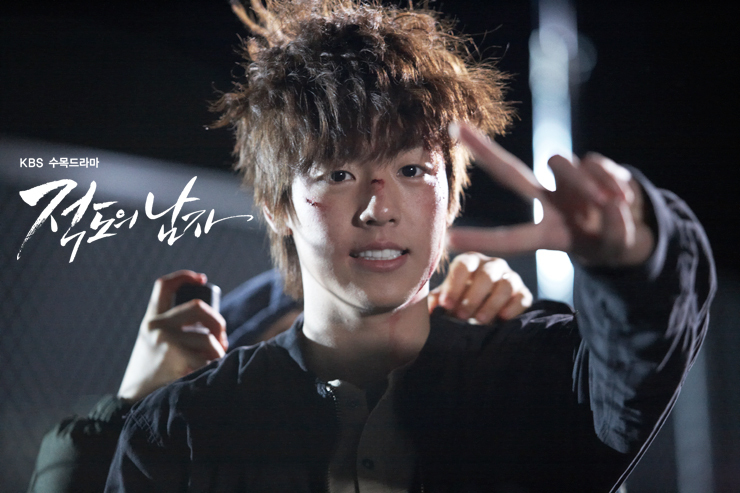 After beating his best friend Kim Seonu (Lee Hyun Woo) and unceremoniously rolling him into the ocean, he seemed to finally grasp the enormity of what he had just done. But he didn’t even look back, signaling that for him the die is cast. He was quite a busy bee as he burned the petition (this might be useful for our future prosecutor – to catch a criminal it could help to have been one yourself), ran away to Seoul, got drunk with upperclassmen (sunbae), flirted with Han Ji Won (Kyung Soo Jin), and even bought her a really expensive scarf – how generous he can be with blood money. And Ji Won seems to be giving way to this baller – maybe she’s not so well-adjusted about her downfall after all if the attentions of a sociopath like Jang Il move her. Ji Won, your stock has just plummeted. All this didn’t even shock me until the moment he got scared that the police would be coming for him. Instead of repenting his temporary insanity, he decided to go fully insane as he practiced his surprised-who me? face in the mirror. Who is the man in the mirror? It’s Crazy Jang Il – he’s just crossed the line from tortured friend to evil villain. When he thought Seonu was dead he carried on a one-sided conversation in which he swore he would pay back his sin by thinking of it every day and even after death – it so doesn’t count when the other person isn’t there. I hate it when the villain promises to “pay it back” in his or her next life – that isn’t enough. Ever. He is just like his father, and that’s probably the worst thing I can say about him. 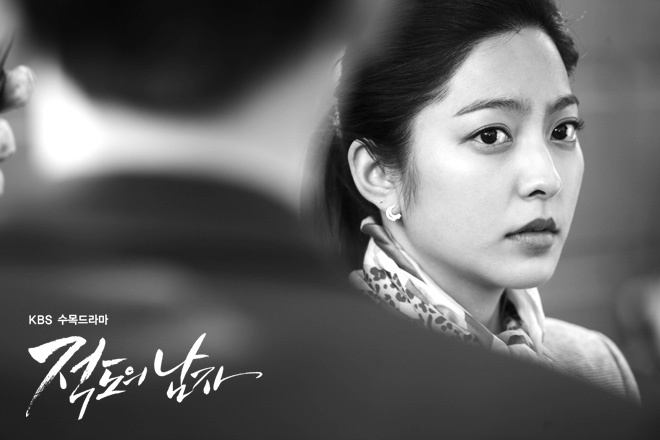 Coming in a close second for the Worst Person of the Drama award is Choi Sumi (Park Se Young) – attempted murder trumps being selfish and annoying. She began to get a little worried about Seonu and went to check up in him, telling people that he was her friend (that’s a stretch). It was kind of funny how Seonu’s landlady assumed this loud, bossy girl was his girlfriend, but even funnier how everyone knew that Seonu was such a good, wholesome kid that it was impossible that he had gotten drunk somewhere or done something immoral. At first I was relieved that Sumi finally seemed to be acting like a real person, but I should have known better. When she and her father (whom she’s always making change clothes – I honestly can’t tell the difference between his regular clothes and the Sumi Approved outfits since I must lack her painter’s eye) were at the hospital where an unconscious Seonu had been taken, she was still intent on covering for Jang Il and carrying on with her Master Plan which so far just involves messing with Jang Il. Seriously, you’re keeping the truth from Seonu (who knows, by the way, so whatever) just to play stupid mind games with the guy who rejected you? Please tell me you’re doing something cooler. As all of this craziness was going on, Superman Seonu was resting on some rocks before being discovered. I know he was supposed to be the best fighter, but I didn’t know he was also blessed with super strength that rendered him able to withstand blows to the head and plunges into the ocean. It was still a critical time for him, so of course I worried that Jang Il’s dad would do something dastardly. He might not have tried to kill him, but he did say something awful – he accused the battered Seonu of making his son commit a crime. Really? You’re going to phrase it like that? Those Lee men are incredibly self-centered. I’m not sure how much time has passed, but while images of his and Jang Il’s past life flash through his mind, Lee Hyun Woo becomes Uhm Tae Woong, Im Si Wan becomes Lee Joon Hyuk, and Park Se Young becomes Im Jung Eun. Ji Won obviously has not grown up yet since Lee Bo Young was not shown in this episode. 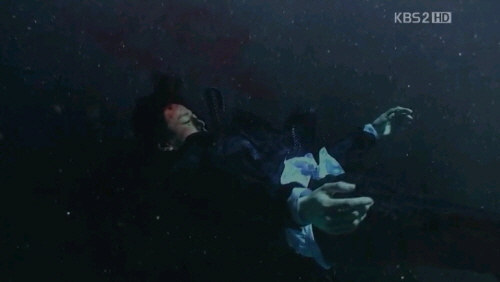 Seonu’s unconscious state at least threw out a clue as to the origin of the title. We went to a scene between Seonu and his father where we learned not only that Seonu knew he was an orphan, but also that he really wanted to go to the equator since he was the equator. I still don’t get it, but at least they mentioned it. Once Seonu woke up he had quite the parade of visitors – Chairman Jin (Kim Young Chul), who is starting to feel the absence of a real family and so might now be more amenable to the idea that he has another son, Sumi and her father, and finally Jang Il. I was getting so angry at Sumi as she continued to pursue her agenda of remaining the sole person to harass Jang Il while also bothering a barely conscious Seonu with the same question of whether he knew her. I really wanted him to say no – he could remember everyone but her. But I guess he has other things to worry about – though he survived that crazy ride, he is currently blind. Uhm had an interesting way of playing blind – I would never have expected the cross-eyed detail. It was veering into farce, but I’m trying to be open-minded here. Jang Il arrived just in time to witness his friend’s total meltdown as he raged around the hospital, yelling for someone to turn on the light. He even grabbed onto Jang Il (it almost looked like he was faking it), asking the shocked man to take him somewhere before shoving him aside to rage some more. I was a little surprised that Seonu is so angry now – not that he doesn’t have reason to be. 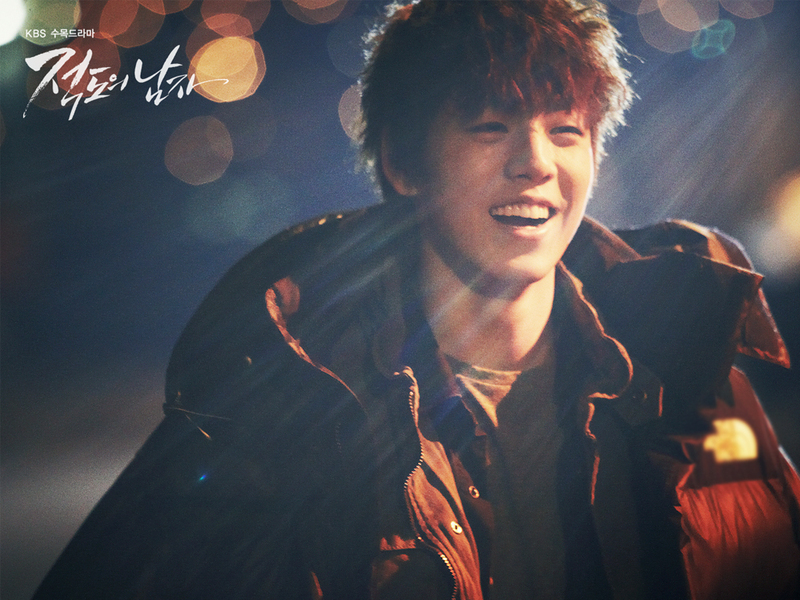 But Uhm has such a different feel as an actor than Lee Hyun Woo who seemed like such a nice boy. We’ll see where Uhm takes this. So it looks like that’s the end of the Child Actors version of the drama, even if they still might pop up in flashbacks. 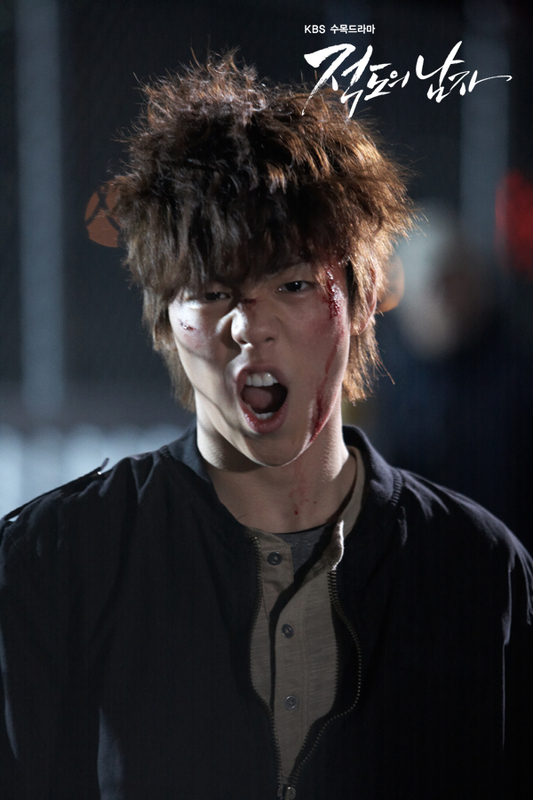 Lee Hyun Woo was better than I thought he would be, since I thought he would be painfully awful. But this was probably one of his better roles so far. He didn’t physically seem to fit the role of a tough fighter type, but maybe he used that to his advantage, lulling his opponents into thinking he was weaker than he really was. 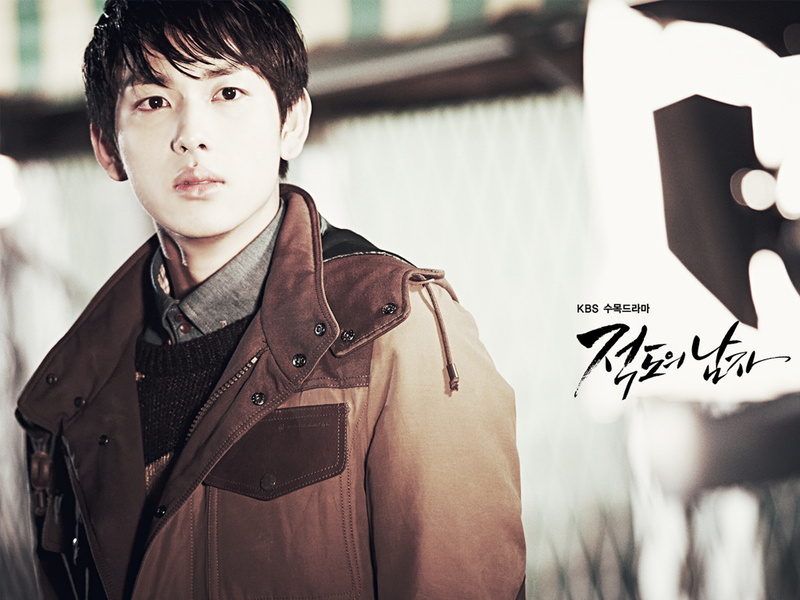 Im Si Wan was pretty good as the young Jang Il, though I somehow got the feeling that he would be better in a romantic comedy than melo. I’m not really sure why. 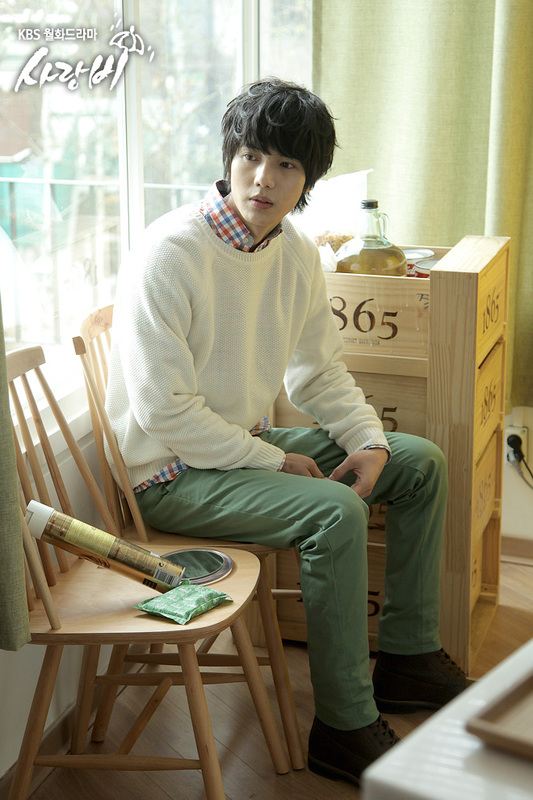 He’s currently in the MBC sitcom Standby which seems more lighthearted. I had already really wanted to see The Moon that Embraces the Sun, and now there’s the added curiosity of seeing how he looks in period wear. He’s one of the up-and-coming actors, and I see that. I wouldn’t be surprised if he made it to second lead or lead relatively soon. 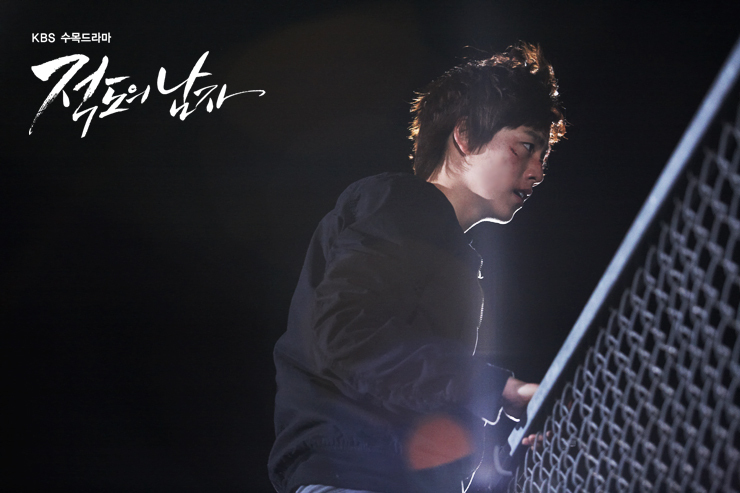 And then he always has his idol group, ZE:A, to fall back on. Park Se Young played someone unlikable pretty well, though I’m not sure how intentional that was. She established the foundation for an unstable Sumi, so her work here is done. I wonder what kind of character she’s going to play in Love Rain – hopefully someone more well-adjusted. We’ll see where the drama goes from here, and whether it established the friendship between Seonu and Jang Il firmly enough to make the rest of the drama totally painful. 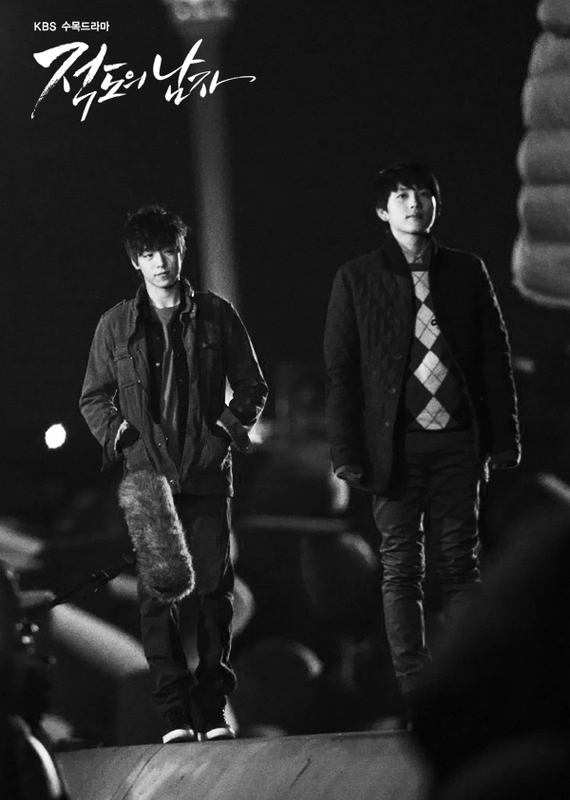 Because right now I’m just rooting for Seonu to get awesome revenge and really put his best friend through the wringer. 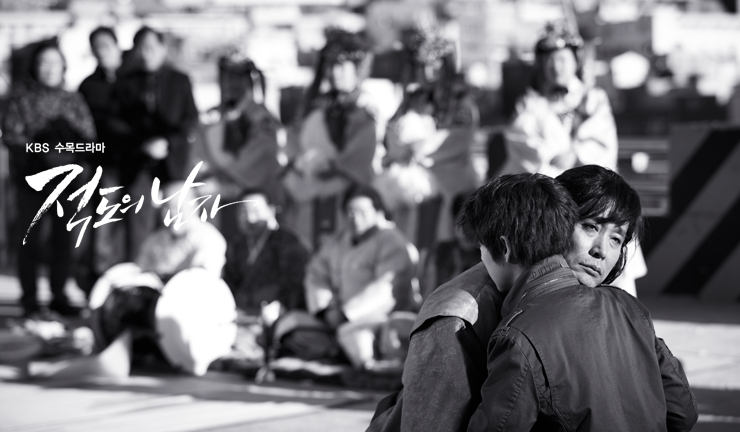 I knew that somehow things would have to come to a head between Kim Seonu (Lee Hyun Woo) and Lee Jang Il (Im Si Wan) over the sins of their fathers, but I didn’t really think they’d go to such an outrageous place. Though considering that in the first two episodes someone’s already been murdered all for the sake of college tuition, I really should have known better. At least this crazy event happened at the end of the episode, so that we could have scenes of Jang Il playing sugar daddy to Seonu. 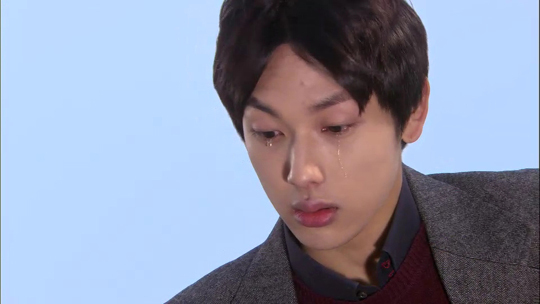 I think that so far Seonu’s orphaned life hasn’t been as tragic as it could have been. This was obviously because they were planning way worse things for him later on, but for a short while things seemed quiet. Of course he went through that brutal gang punishment/hazing and leapt onto a moving train, but he seemed fine after that. Even took up some fine woodwork and stuff. I guess I’m comparing his trajectory to that of Kim Tak Gu’s from Bread, Love, and Dreams, where that poor boy wandered around alone from the age of 12, not even getting a proper education. And when I do, I tell myself that Seonu is at least smart and literate. He was even reunited with his Master of Study costar, Lee Chan Ho, who told him that the police suspected foul play with his father. I think Seonu was always going to keep trying to find out the truth, but this news seemed to give him even more reason to file that petition. Watch out, he has a petition. As Seonu was settling into his joyless life, Jang Il was moving up in the world as well as moving into his new spacious apartment provided by Chairman Jin (Kim Young Chul), his new best chingu. I thought I would be angrier seeing Jang Il wallow in relative luxury while Seonu was being beaten half to death, but more than anything I felt uncomfortable thinking what he was going to do when he found out that the chairman was less chingu and more accomplice. I find I sympathize with him a lot less when he’s being so awful and calculating in his love life (can you even call it a love life?). It was indecent how excited he was at college orientation to see Han Ji Won (Kyung Soo Jin), raising his hand in class to pretty much confess to her (yes, he’s that kid who volunteers in class) and not even faltering when he heard her story about the boy with the rock (Seonu) who made such an impression on her and was just her type. He quailed a little when he discovered her father’s company was bankrupt (way to stay on top of current affairs, future prosecutor) and that she was working three part-time jobs, but in the end her fallen princess appeal won out and he still pursued her. 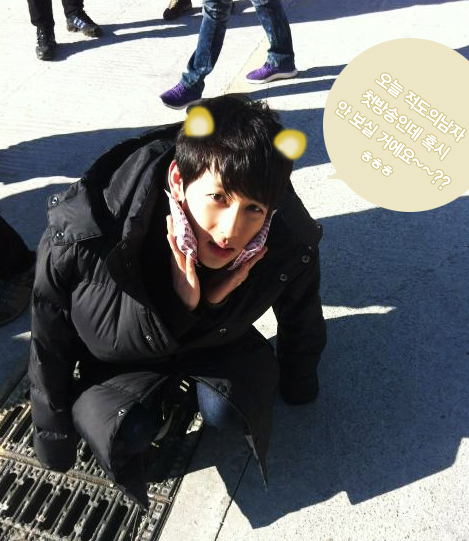 Please don’t think he’s sweet, Ji Won. I’ll think so much less of you. 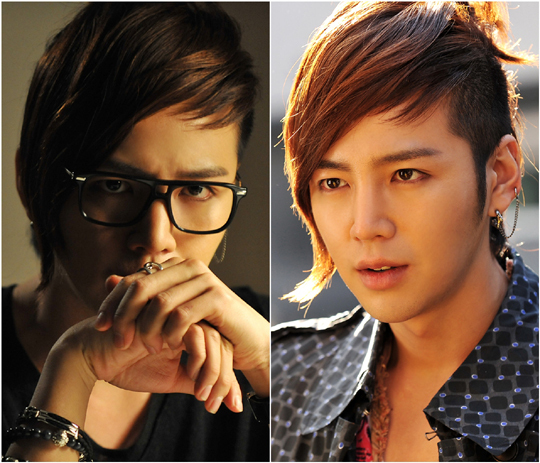 Even though I wasn’t completely angry with Jang Il, I was still able to hate another character pretty forcefully. Choi Sumi (Park Se Young) made some really awful choices in this episode, and she has emerged as kind of bad. Or as bad as those morally ambiguous and self-serving characters usually are. She is still all hung up on the totally not worth it Jang Il, humiliating herself in front of him as they took the train to Seoul together – and no, Jang Il, she didn’t stalk you. Though honestly, Sumi, with those drawings you have of him in your room can you really get so angry over that accusation? She was upset over so many things – her country perm that didn’t look anything like Julia Roberts’ (what complex issues she has), how Jang Il treats her, and then losing her purse in the big city. I was inclined to agree with her dad, Choi Kwang Cheon (Lee Jae Young), when he just laughed at her for getting her purse stolen. But he stopped laughing once she found out that he had been planning on blackmailing Jang Il’s father, Lee Yong Bae (Lee Won Jung), over Seonu’s father’s murder. She told him in her annoying, bratty way not to tell anyone. It looks like she’s planning something really devious (hell hath no fury, right? ), but I was so angry with her. This has nothing to do with you, Sumi – and don’t you care about Seonu, the boy who accepted you when no one else did? She and Jang Il deserve each other. Of course Jang Il was going to find out the truth on his break from school. Nothing like a horrible revelation to start your college career and blight your glorious future. Once again the drama went the very unsubtle route by leading up to his discovery in the worst way possible. Jang Il seemed to be riding a tailwind, reveling in his new life of money and almost power. He loved playing the rich boy to his down-and-out princess (making me sick as he did that – she should have thrown that dessert at his head) and referring to the chairman as his friend who’s really looking out for him. I think he liked introducing Seonu to the chairman, too, though the chairman enjoyed that a little less – he could only see his hated rival, Moon Tae Ju (Jung Ho Bin – whoa, was the actor always that sleazy? ), in the boy’s features. So much for paternal instinct. But what Jang Il loved the most, and what made me kind of wish he had never found out the truth, was treating Seonu to a nice suit. Ok, it was a little weird seeing him so eager to pay (he wanted to pay) and trying to wheedle Seonu into moving to Seoul to go to school and generally hang out with him (he did say that the apartment was too big for one person). I think he really loves his friend – the only person besides his father who makes him forget his rigid life goals and actually feel something. Because calculating Jang Il would never have befriended anyone who wouldn’t benefit him. But he had to find out – not only that his father and the chairman killed Seonu’s father (will he try to blame the chairman mostly before he finds out the whole truth? ), but also that the chairman doesn’t really think much of him at all – mostly that he’s a country bumpkin who doesn’t know his place. Jang Il understandably reeled from all of this, his first instinct being to go to Seonu and beg him to forget about his father’s death and move to Seoul with him – they’d be happy together! 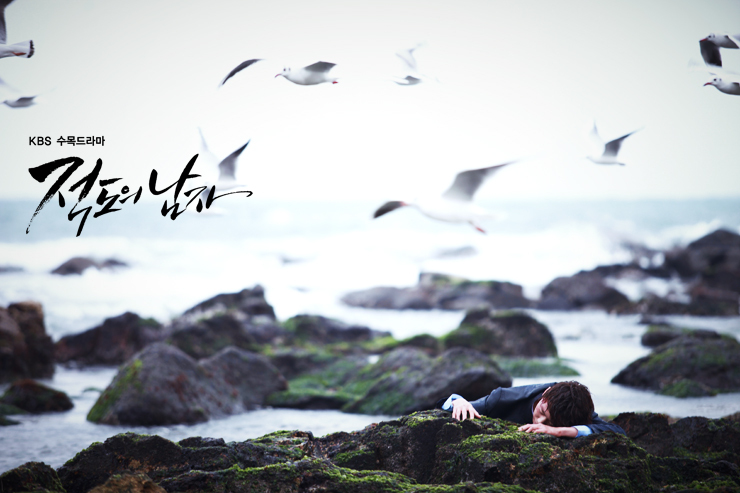 When that didn’t work, he tried to stop new-suit-wearing Seonu on the rocky cliffs overlooking the sea. He had told his father that he would take care of the petition, but I don’t know what he was planning to do with Seonu. I’ll go easy on him and think that he wasn’t originally planning on bashing Seonu on the head and then heaving him into the ocean. It just happened. Now that Seonu has been left for dead, it looks like the drama won’t be staying in 1998 for much longer. 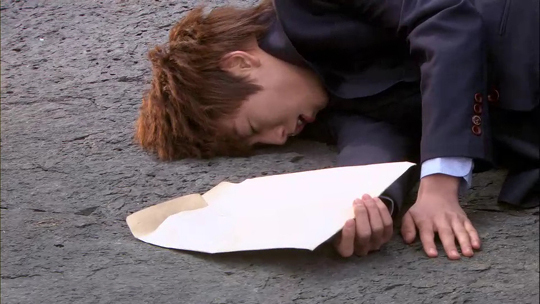 I can’t help but feel a little sorry for Jang Il since fate seems to have other ideas for him and Seonu. I think his feelings for Seonu were some of the only sincere emotions he’s ever had, and it’s terrible that he had to watch that friendship become something almost cursed. But murder? Um, no. 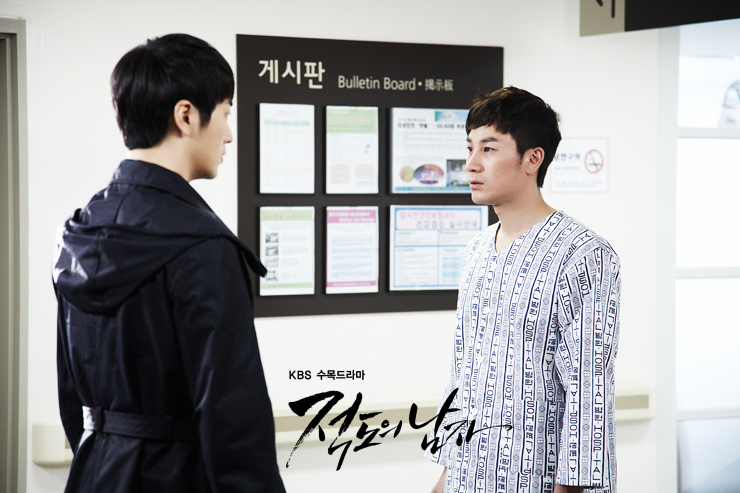 We know Seonu doesn’t die, but how will he handle this – a betrayal by someone he saw as a brother? He now has 4 more episodes to figure it out since the drama recently got an extension (from 20 to 24 episodes). Also, I didn’t know the chairman had a stepdaughter who kind of doesn’t like his business practices. And when will Moon Tae Ju actually show up and do something, instead of just calling Seonu and being rude? That man has the worst timing ever. Another shocking episode of Man from the Equator. I guess it’s a good thing I haven’t seen many makjangs, or else all of these outrageous plot twists might not seem so surprising to me. You know, it was only the second episode out of a 20 episode run, so I’m a little worried about whether this drama will be able to keep all of these twists and turns coming. But I’ll worry about that when I get there. Until then, I’ll just focus on how the twisted relationship between Kim Seonu (Lee Hyun Woo) and Lee Jang Il (Im Si Wan) just keeps getting more and more knotted and disturbing. Now the drama seems to establish the overarching plot which features Seonu trying to uncover the truth about what really happened to his father, Kim Kyung Pil. So far he has found out some interesting things about his mild-mannered father – like, how he had a fraud record from 20 years ago. Wait, Seonu is 20 years old. If he’s shocked by this, how much will it lay him low to discover that his adoptive father had a forger’s hand in leading to the death of his mother? I wonder how much Seonu suspects that he is not his real father, or whether it will come as a blow to him. And now the drama has introduced the real possibility of another father altogether – Moon Tae Ju (Jung Ho Bin), who is currently in Thailand (is he the man from the equator?). It’s comforting to know that Seonu potentially has one strong backer in his corner, since it looks like he’s going to need it. I’m embarrassed to admit that I gasped when the drama revealed who really killed Kyung Pil – it wasn’t the chairman, but Lee Yong Bae (Lee Won Jung)! 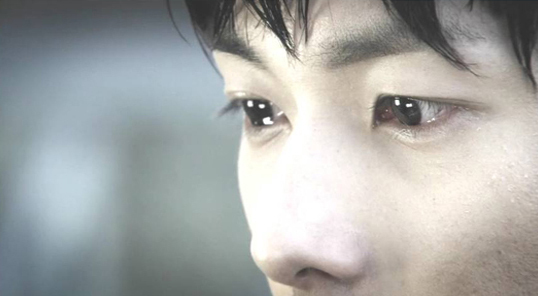 It’s scary to see what kinds of things weak-willed people will end up doing, especially in dramas. I guess having the chairman being the actual murderer would have been too tacky, plus this way Seonu and Jang Il are driven even further apart – or is it closer together in a fated relationship? 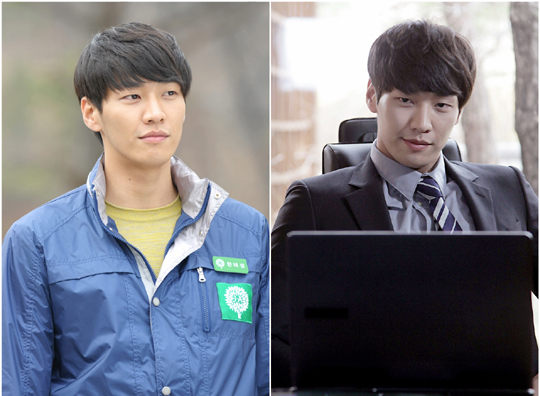 Wow, what an unlikable character Lee Won Jung is playing. Not even his doing it for his son’s advancement (for the chairman would only pay him if he disposed of a dead man) makes him any more sympathetic. It’s terrible to think that Seonu and Jang Il have to pay for their parents’ sins like this, but I guess that’s the point. An unexpected ally for Seonu came in the form of his wacky shaman friend, Choi Kwang Cheon (Lee Jae Yong), who offered to perform a prayer ceremony for his father (for a small fee of course). This totally freaked me out, even though in the end it turned out to be completely fake. Or was it? I’m already suspending so much disbelief at this point that I’ll choose to believe that he has some real abilities, however latent they might be. But I do know for sure that Kwang Cheon actually witnessed the murder, but he only really saw the scar on the man’s arm. 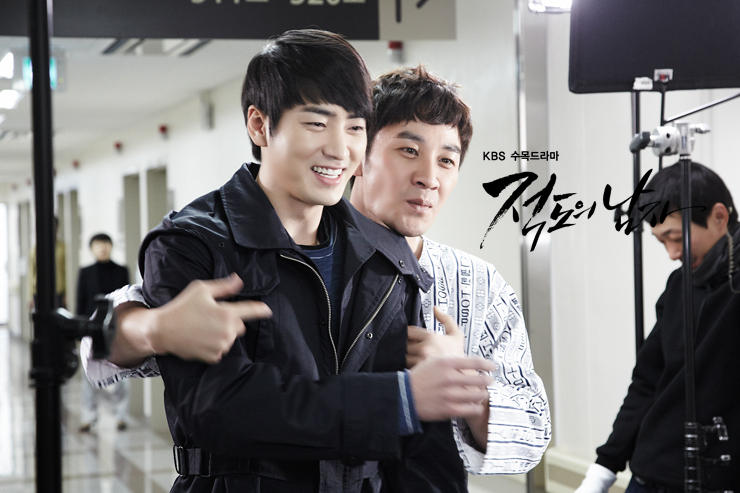 I don’t like how Kwang Cheon’s not much help, but at least he cares about Seonu. A fake shaman is better than no one, I guess. He seems to have realized at the end that Yong Bae is the man, but who knows what he’ll do with that information. I’m curious whether his gut reaction to Jang Il is a manifestation of his abilities, or just one of those things everyone feels at some time or other. It’s like he has a sixth sense that this jerk is hurting his daughter. 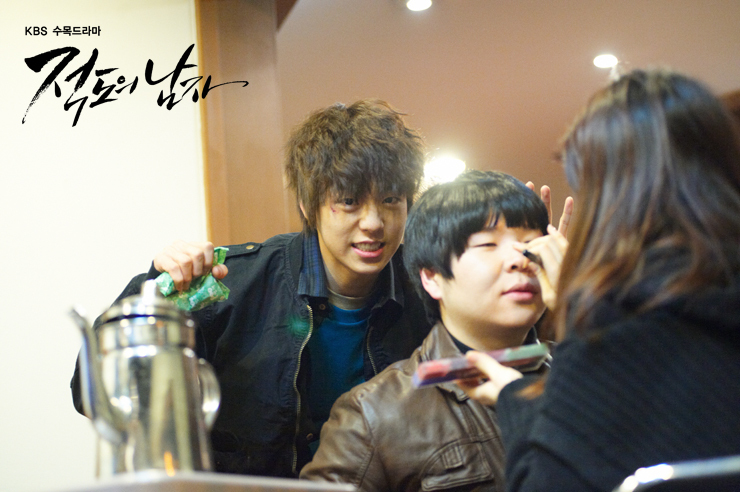 And Seonu is not without resources of his own. He figured out that the suicide note must have been faked since the formal endings used were different, and the typewriter was different (sloppy, Yong Bae). I don’t see him making a lot of headway with the police, especially after Yong Bae burns the letter (in exchange for fried chicken), but whatever. He can’t solve it too soon, right? More interestingly he sees a picture of his father along with Chairman Jin and Tae Ju, though he doesn’t know who they are yet. How long will Seonu feel his way in the dark like this (that’s foreshadowing a major plot point involving Seonu losing one of his senses)? And my apologies to Seonu, but he was not as interesting in this episode as Jang Il. It is never fair how the villain or anti-hero is always so much more compelling. It’s the watching-a-train-wreck effect, I guess. This drama really isn’t going easy on him, I think – every good thing that happens to him now, every noble impulse he has, everything will be turned into bitterness and poison once he finds out the truth about what his father did. But you know that if he is really smart, he should figure out what happened on his own – what kind of scholarship gives an “allowance” like that, and doesn’t make you write a lame essay? Will this knowledge break him? We do see him attempting homicide later on, so I’m thinking yeah. It was so cruel seeing him be so happy as he met his benefactor, the chairman, and thinking that his star was finally on the rise. It was also a little creepy how the chairman’s wife, Ma Hee Jung (Cha Hwa Yun, Thorn Birds), fawned over him for being a pretty boy. If his father had been smart he would have gone through her to get money for school, and he could have avoided the whole killing thing. Doesn’t he think that his son might hate having a murder as the foundation for the glorious success he hopes to achieve? 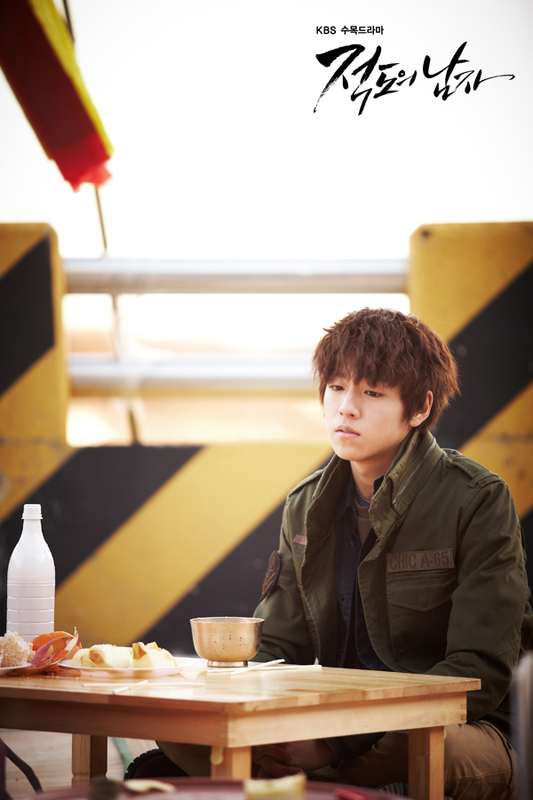 But if he understood that, he wouldn’t be Yong Bae, the man who can still eat a meal with the son of the man he killed. Of course there is still a little romance in the air, because romance in this situation will only make their lives more tragic. As much as I feel for Jang Il, his unromantic impulses are so awful that I’m simultaneously rooting for him and waiting for him to get his. For he is out with the old shaman’s daughter, and in with the new lady-love his greedy dreams have already selected for him. He actually went to this bizarre assembly for employees of the company her father owns, and was determined to be mesmerized by Han Ji Won (Kyung Soo Jin, New Tales of Gisaeng) as she sang “Moon River” (not as good as smashing a window). He was also later excited to see her again at the chairman’s house, nevermind the fact that she had come with her mother to grovel – wow, insensitive, Jang Il. He must also think it’s fate that they will be going to the same university too. I entertain no belief that he actually likes her romantically. At most he is enthralled by what she represents to him – wealth, power, and everything nice. He is so calculating that I don’t think he’ll love any woman. Maybe Choi Sumi (Park Se Young), but not even. But the world is probably safer this way. Seonu managed to break through his walls, and look how well that’s turning out for him. I actually think Sumi deserves him since she’s pretty lame herself for liking him. At least she has the sense to resent the sign in the town that announced that he was going to study law in college. 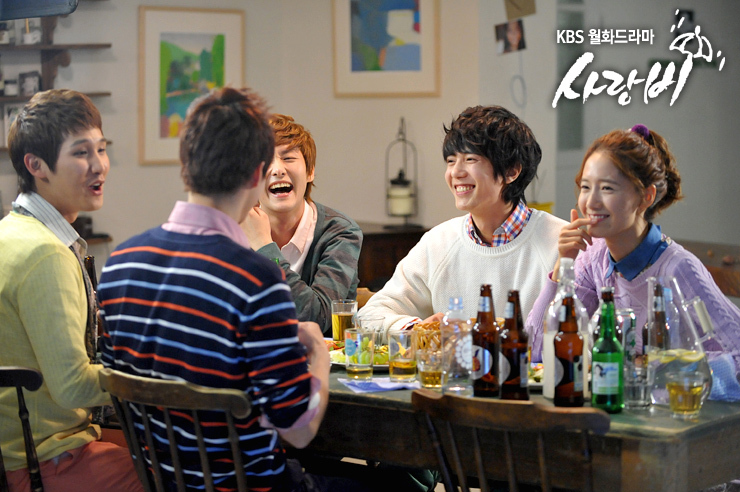 I wonder if the actress will have a happier romance in the upcoming Love Rain, which follows Dream High 2. Ji Won has no clue who Jang Il is, being more preoccupied with helping her father regain his wealth (by studying English in college). And if she does think of any boy, of course it’s Seonu. So it’s too bad that Seonu is too busy being blackmailed by the local gang into becoming their muscle. To be more precise, being blackmailed using his love for Jang Il. So much drama. From the previews it looks like things are set to get even crazier – blindness is involved. I’m still not sure why Seonu likes Jang Il so much, but since it’s for the sake of maximum drama, it’s ok. For the closer they get, the more painful it gets, till this drama runs the risk of becoming a total downer. But in an entertaining way.